An act little known to Tsar Nicholas II. In 1896, Tsar Nicholas II returned to Hungary, for the commemorations of his millennium, the sword of George II Rakoczi (1621-1660), Prince of Transylvania. The Russians had taken this saber from General Jozef Bem during the war of 1848-1849, and he belonged to the arms collections of the imperial court of Russia. During the preparations for the Millennium of Hungary, a certain Dr. Szendrey arrived in Russia to make a list of interesting objects. Nicholas II agreed to lend the sword until August 1, 1896 for an exhibition. While the sword was to return to Russia, Nicholas II decided to give it to Hungary shortly before his visit to Vienna. 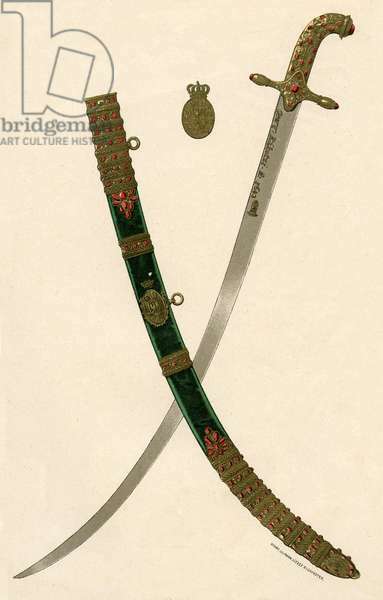 The Russians had taken this saber from General Jozef Bem during the war of 1848-1849, and it belonged to the arms collections of the imperial court of Russia.